Dad, he’s not an animal! You know what’s almost as hard to find as Bigfoot? Middle infielders who can hit for power. Nick Franklin wasn’t even a twinkle in his parents’ eyes when that movie came out, but now finds himself the starting second baseman for the Seattle Mariners with 12 homers in just 85 games as a rookie. While this year Franklin has both shortstop and second base eligibility, he hasn’t made a start at short in the majors and will most certainly lose that eligibility next year. That being the case, we’ll only look at where he ranks among other second basemen to determine where he might fit into the plans of dynasty league owners. It would be foolish to think that Franklin will simply double his home run total next year when you stretch these 85 games into a full 162-game season, but it’s not ridiculous to think that he could touch 15-20 homers while also contributing double-digit steals, and that’s going to be enough to keep him as a top ten or twelve player at a shallow position like second base. At just 22 years old, his 12 homers already rank in the top ten among second baseman. If he can continue to hit fly balls at a 42% clip, he should be able to keep those home run numbers afloat, even in Seattle (only 4 of his 12 came at home this year). 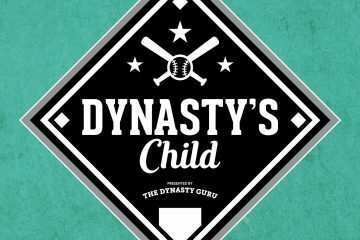 Dynasty league owners have the most to gain from going in on Franklin now and being patient with the developing power. 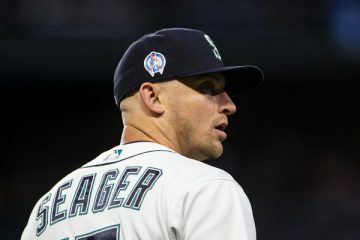 The 32% strikeout rate and .174 average since the break have put a damper on things, but he still managed to hit 6 of his 12 homers in the second half and his line drive rate stayed at a respectable 22%. He’s part of a really exciting young infield in Seattle along with Brad Miller and Kyle Seager and I’d imagine that hitting between the two will continue to provide Franklin with opportunities to both score and drive in runs for the foreseeable future. See if you can’t point to the K rate and the loss of that coveted ‘SS’ eligibility to snag him this offseason. He might need to pay his dues at your middle infield slot for a while, but I personally don’t think it will be long before he can be a primary second base option in dynasty leagues. Time to go back to the DVR and catch up on some more free flicks. Next up is The Silence of the Lambs. I feel a Starlin Castro post coming on. Harry and the Hendersons. Nice.